The shocking terror attacks on Paris late Friday have led to a subdued tone for some stock markets so far Monday. Gold and oil prices have increased though. 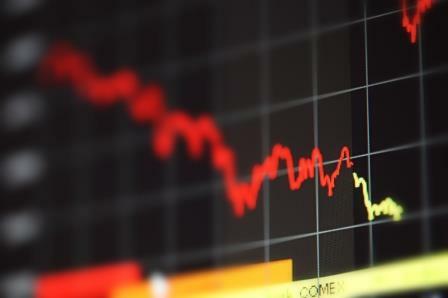 Asian indexes have been impacted by a sell-off in tourism and airline stocks in particular. Shanghai is the only one of the region’s major indexes that closed higher. European stocks have also been under pressure, with those in the tourism sector again losing the most; however most indexes are trading flat or slightly higher. Toronto and Wall Street are expected to continue the subdued trend. The Japanese economy slipped into another technical recession between July and September, its fourth in 5 years. The quarterly figures show 0.8 per cent decline following 0.7 decline in the previous quarter. Seen as a blow to “Abenomics” analysts say that the country’s economy will need structural reform to enter a period of prolonged growth. The value of US car loans has reached a new milestone; $1 trillion is now owed, driven by low interest rates, rising car prices and strong sales. CNN says that new car sales are up 6 per cent so far in 2015 with loans up 11 per cent. Despite having been responsible for high profile cyber attacks which have cost companies including PayPal and MasterCard millions of dollars, the group of cyber attackers known as Anonymous appear to be joining the war on terror. CNBC reports that an as-yet unverified YouTube video claims that the hackers have declared war on the group that calls itself Islamic State. A post on the hackers’ ‘official’ Twitter channel confirms the declaration. France meanwhile has ramped up airstrikes on IS strongholds in Syria.